Everyone loves a musician. After all, music touches your soul in a way nothing else can. A career spent in the pursuit of good music is a spiritual treat in itself. Unfortunately, a lot of extremely talented musicians have to work as engineers, accountants and in other “high-paying” careers, while their talent becomes just another hobby. Are you one of them? Pursuing your dream of having a full-time career in music is challenging, but with the right combination of knowledge, talent and perseverance, it could become your reality! Grab your instrument, sharpen your creative pencil and read on, as we share a few ways to earn a living through music. Ah, freelancing, the ultimate money-making tool for artists worldwide! Taking up gigs you find online and delivering your high-quality work gives you the much needed experience (not to mention money!) that a budding musician needs. Online sites like Freelancer, Fiverr, Musicfreelancer and Upwork provide a steady stream of music related work, where your skills as a lyricist, a consultant, songwriter or even music creator will be in high demand. Most tasks provided are simple, yet adding your individual touch and delivering the job as per the customer’s directives becomes a challenge. Being a successful freelancer takes more than just talent. It takes a collaborative spirit, an ability to follow directives, social skills, proper planning and delivery. As you grind and complete jobs, you will gain recognition on basis of your performance, which will then help you get the juicier deals usually reserved for the elite. A popular job to land as a freelancer is writing jingles or background music for advertisements, video games and other commercial material. Working for a brand gives you a lot of credibility, so keep a close watch on freelancing websites and other job sites. In fact, approaching different companies and brand names and offering your services as their music provider isn’t a bad idea! Behold, the rites of passage for every budding musician! Playing live music at places like cafes and bars is how most artists learn the ropes and gain recognition. Now, with so many restaurants opening and competing, live music is back in fashion, and doing cover gigs with restaurants, hotels and bars is an enjoyable way to make money. Plus, performing live puts you ‘out there’, helping you get in touch with future clients. WIN WIN! Music is the heart and soul of every event, be it a marriage, a huge party or even professional corporate events. All event management firms hire musicians, and landing a gig with one is a good way to earn some cash. You could also approach the people hosting these events and provide your services directly. If the idea of working under someone else doesn’t sound appealing, start your own musical event service! All you need is a portable sound system, like a professional Karaoke machine system, learn the basics and advertise your services (through the internet, or contacts through friends and family). Turning an ordinary party in a groovy and energetic affair is a valuable service, and if you’re good and can have fun, expect to get a lot of offers! Partaking in one of the world most noble professions is a good way to earn money as well as improve your craft. Plenty of people want to learn a musical instrument, and attracting these people by providing flexible timings and personalized training could give you a steady stream of income to depend on. Advertise your services, be patient and see yourself becoming a proud teacher of your craft! Have a syllabi in place, and visualize yourself teaching before you begin your actual class. Starting your own online teaching channel also works, but make sure you address issues or teach techniques which haven’t been endlessly covered already! Music is best enjoyed in a group, don’t you think? 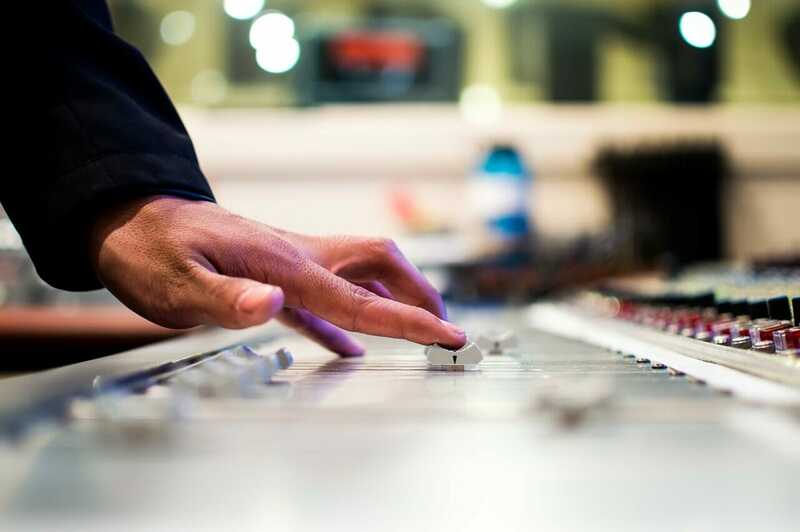 Plenty of television programs and recording studios require music artists for short term help, as a part of a band. Although this won’t translate into a full time career, helping out as a ‘session musician’ will let you meet a lot of influential people in your field who could teach you a lot. Moreover, this is also help you build a number of useful industry contacts, which will open up new avenues of revenue. Pursuing a career in music is not any different from running a business. Your brand comes first, while the contacts you make, the network you establish and your interpersonal skills make up the foundation. If you are planning to cement a long-term career in music, find out what makes you tick! What do you envision the high point of your career to be? Studio recording? Composing? Teaching? Songwriting or lyricist? Choose two fields that you would like to master (no more! ), and focus all your efforts toward them. Connect with people working hard in your field, meet influential personalities and gain some perspective. Being visible is a crucial aspect of a good business, which means that along with the people you meet face-to-face, you need to manage your online presence too. Manage your social media accounts (Spotify, instagram, among others), post your work, call your friends to events and let it be known that you’re the next up-and-coming star of your city! Another aspect of online presence is having your own website. Make a website that genuinely represents your individuality and character. Share your work, your experience and your musical interests. This will act as your introduction or as a crisp resume. Accompanying your website with a YouTube channel showcasing your work is ideal and helps people get instant access to your brand of music. Congratulations! You have taken your first steps toward building your empire. Selling your own music – CD or digital sales through your own website or through services like iTunes and Bandcamp. Selling merchandise through your website – Could be either physical merchandise like T-shirts, buttons or stickers, or digital merchandise like PDF’s, music sheets, lyric books, artwork etc. Approaching record label studios through connections and submitting your music. Starting your own blog and offering online services directly. Ultimately, your success in this field will depend on a lot of things other than your individual talent. The consideration you show to your clients, your equation with fellow musicians and your ability to deliver high-quality work on a consistent basis is what keeps the clients interested and the phone ringing. So brace yourself, take a deep breath and work smart. Who knows, you might be the face of music industry one day!